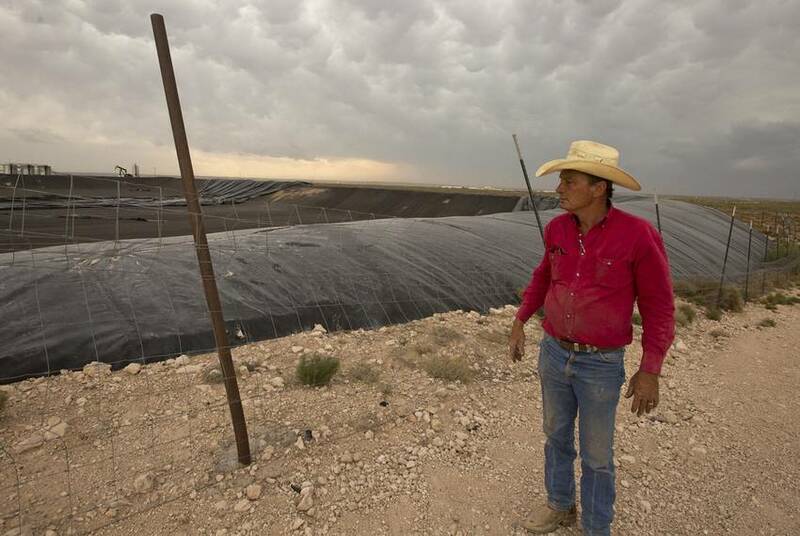 Water restrictions in New Mexico have created a supply crunch for the fracking industry, so more free-flowing Texas water is helping to fill the void. 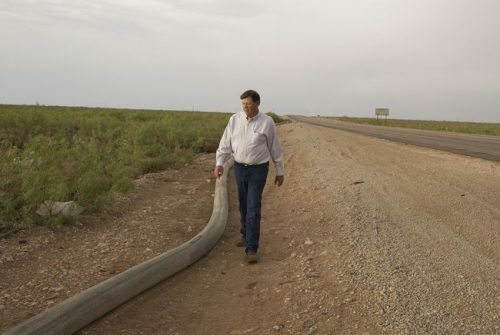 But not without controversy: A top New Mexico politician says Texans are pumping his state’s water and piping it across the state line for oil drillers. ORLA — After you head northeast on Ranch Road 652 from tiny Orla, it’s easy to miss the precise moment you leave Texas and cross into New Mexico. The sign just says “Lea County Line,” and with 254 counties in Texas, you’d be forgiven for not knowing there isn’t one named Lea. 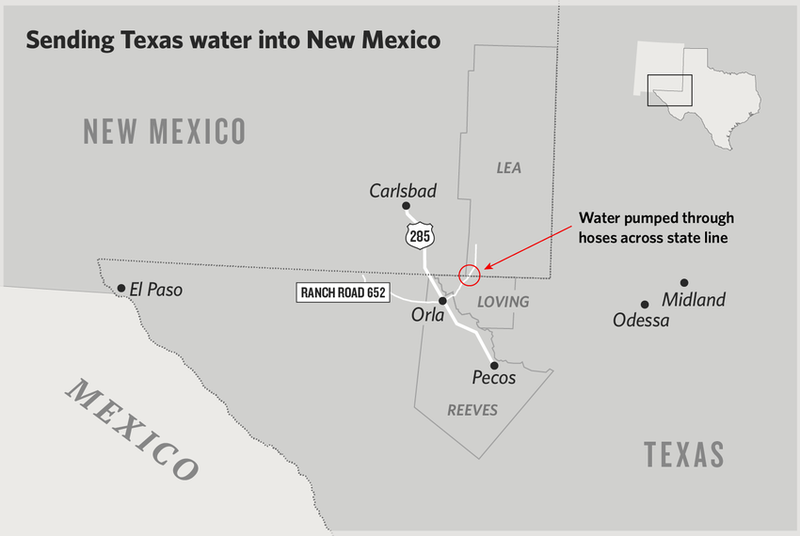 Lindsay said ConocoPhillips isn’t the only company that has piped water into New Mexico over his land. 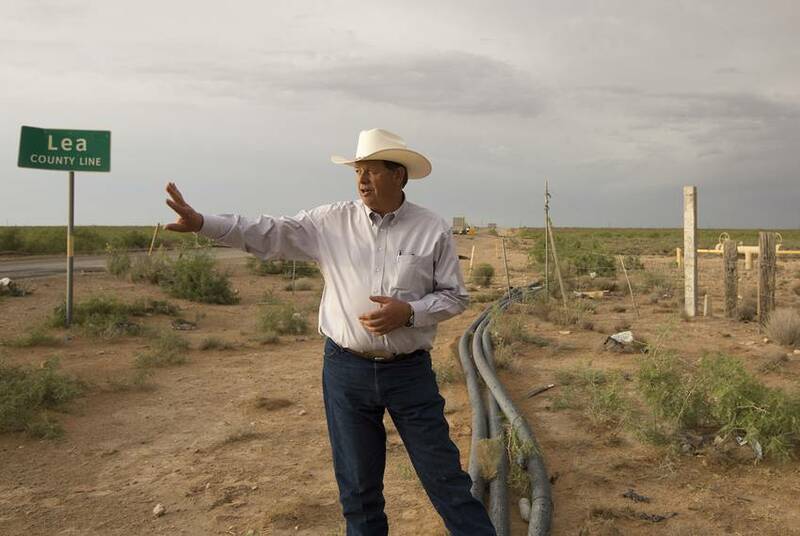 He said he recently discovered a water line from Texas Pacific Land Trust, a highly profitable companywhose water sales have exploded in recent years, going over his land into New Mexico. He found another line lying alongside Ranch Road 652 whose owner could not be determined. Nor was it clear who owned several hard plastic lines — or what they were being used for — stretching across the state border near a wastewater facility not far from the Lea County Line sign. Still, water and how it’s used can be a touchy subject around here. In the early 1950s a crown jewel of Fort Stockton — Comanche Springs — dried up amid heavy pumping by farmers, most famously Clayton Williams, Sr. An ensuing court battle reaffirmed the landmark 1904 decision upholding the “rule of capture” — giving landowners broad control over the water under their property — and Comanche Springs never recovered. Williams’ son, Clayton Williams Jr., who lost the 1990s governor’s race to Ann Richards, later rattled Fort Stockton with a plan to pump his water from the rural area to thirsty cities like Midland and Odessa. The battle dragged on for years, culminating in a 2017 settlement that allows for limited water exports. Robert McEntyre, spokesoman for the New Mexico Oil & Gas Association, said his members believe in robust compliance with all regulations and tax laws. Dunn says he worries about the long-term impact of pumping so much groundwater for use in oil and gas extraction. That in turn lowers the amount of water that feeds rivers and streams, he said.